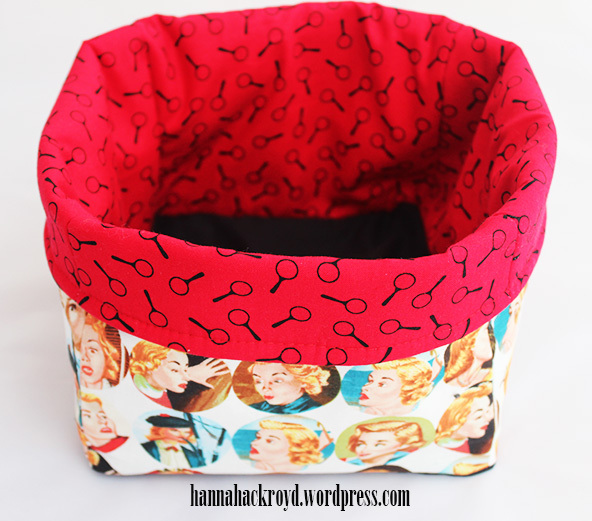 This is where I’m sharing all of the craft projects that I complete in 2014! This one has been on a back burner for the last few weeks while I have been ill. 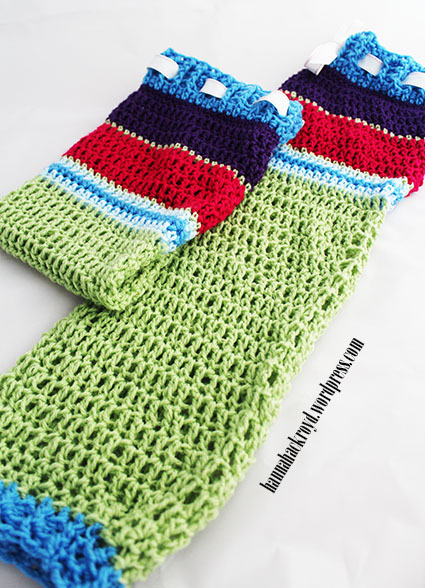 The first leg warmer seemed to take me forever to complete, but one evening last week I fancied making a start on the second one, and it only took me a few hours! Why does that happen? Usually it is the second one that takes forever though, so I suppose it was a nice surprise for the second one to be quicker for a change. And it gets something else crossed off my list after a pretty unproductive month! I used the pattern from Lots of Nice Things, which is free and pretty straight forward to follow, although I did get a bit confused about when I was meant to decrease the number of stitches per round…I’m really pleased with the finished result though! In my second parcel to my penpal Stef, I decided to send her a handmade gift. 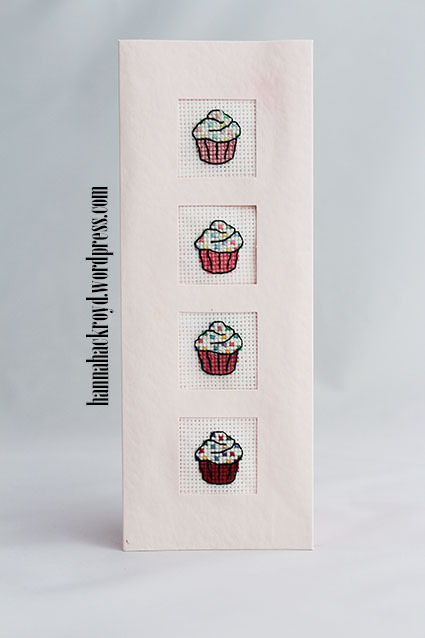 I had got her a copy of Mini Cross Stitch (Twenty to Make) so I decided to use one of the designs to make a bookmark for her…we both love reading! 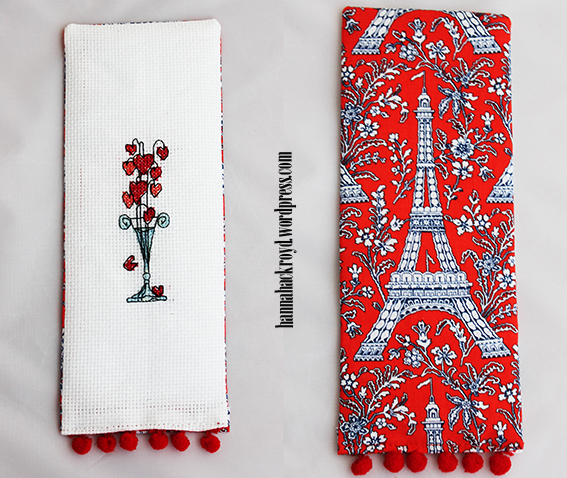 Since it was our February letter, the moth of love, I used the ‘hearts in a vase’ design on the front and I used some of my Parisian fabric left over from my knitting bag for the back and a bit of pompom trim for fun! Stef messaged me to say that she liked her parcel so it seems to have gone down well! Now that Valentine’s Day has been, I can finally share with you the project that I was working on for James! 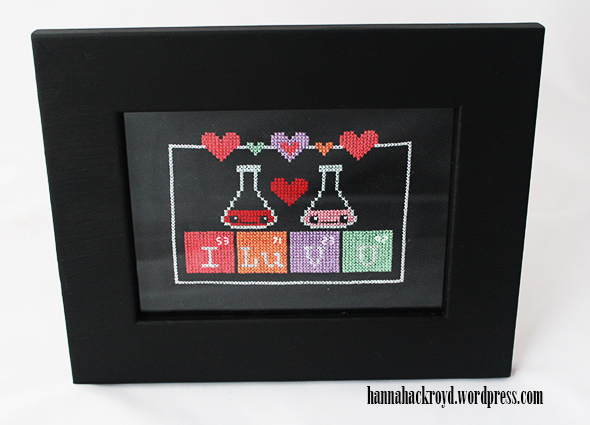 Throughout January I stitched away at this cute ‘Elements of Love’ design by The Frosted Pumpkin Stitchery. I thought it was ideal for James with his interests in science, but the cute kawaii design definitely represented an element of me too! I also loved the pretty pastel colours. James was also thrilled with the design. He knew that he was getting a handmade gift, but he said that he wasn’t expecting a cross stitch so it was a surprise for him! I used some Nancy Drew fabric, as my Mum loved reading the books when she was growing up, then I read them with her when I was young too. I thought it would make a lovely box to hold her presents and I love how it has turned out. You can get the link to the tutorial here. And here it is filled with her favourite scented Body Shop goodies! 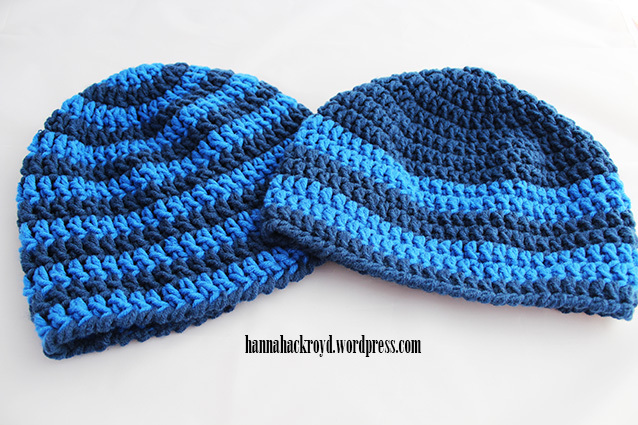 My first finish of the year was this set of ‘his & hers’ beanies which was from a set my Grandma got me for my 22nd birthday. I started the first one (the ‘hers’ regular striped one) on the 3rd Jan, and finished it on the 5th. I started the ‘his’ one with the two larger striped on the 7th and finished it on the 8th.